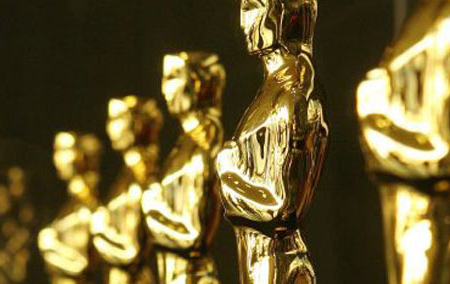 And The Oscar Goes, or should go, To??? Here are my Oscar picks for this weekend’s awards. This has been one of the most difficult years to pick both winners and favorites as the competition seems close in each of the major categories. But, for better or worse, here are my choices, predictions, and comments. Best Supporting Actor: This is a very close category. All the performances were solid. Philip Seymour Hoffman’s performance in “The Master” was the most intense and perhaps over the top, while I think Jones’s was commanding and sufficiently restrained. Waltz’s was very good but I think too similar and too soon to his earlier win for the same category. This is a pick-em between Hathaway and Fields. Both Actresses delivered performances that had tremendous intensity and pathos in communicating the suffering each character was living through, or dying from. Hathaway’s gut wrenching performance of the iconic “I Dreamed a Dream” conveys such anguish and vulnerability that it might push the over the top. The other three were solid performance but not as memorable nor did they impact the viewer to the same degree. This also is a very close category with all performances as solidly worthy of their nomination. Bradley Cooper’s performance of a man suffering from a mental illness touched the lives of those who have known and loved persons similarly afflicted. In the two times I saw the film, I could feel persons in the theater nodding knowingly with his behavior. Joaquin Phoenix’s performance in “The Master,” as with Hoffman’s, was captivating if a bit one-dimensional and I think it may have been forgotten a bit since its release. Daniel Day-Lewis’s multidimensional performance conveyed, as I said in an earlier review, the man inside the monument. The spectrum of film types in this category is amazing. From simply staged and shot films like “Amour” to extremely flowing and artistic offerings like “Life of Pi,” and narrow in time period pieces like “Lincoln,” to humorous but hitting close to home, quirky ensemble films such as “The Silver Lining Playbook,” there is much to choose from. Unlike recent years where the increase in the number of nominations resulted in some films that were obviously filler, this year each film has merit and is worthy of the nomination. With all the controversy among the Hollywood community regarding the torture scenes, it is unlikely “Zero Dark 30” will garner as many votes as perhaps it would have and possibly deserves. With a nomination for Best Foreign Language film, it is likely “Amour” will receive votes in that category. “Lincoln” was perceived as the front-runner but has received less notoriety through the awards season. “Argo” has become the favorite with success during the awards season and with the feeling that Ben Affleck was snubbed for a Direction nomination, there is the thought that many Academy members will vote for “Argo” in part as a validation of the popular actor director. These are my picks, prediction and thoughts. Please share yours. This entry was posted in Film Shots and tagged "Lincoln", academy awards, Academy Awards predictions, Amour, Argo, Beasts of the Southern Wild, Django Unchained, Les Misérables, Life of Pi, Oscars, Silver linings Playbook, Zero Dark Thirty. Bookmark the permalink.